Due to the advent of new technologies, devices, and communication means like social networking sites, the amount of data produced by mankind is growing rapidly every year. The amount of data produced by us from the beginning of time till 2003 was 5 billion gigabytes. If you pile up the data in the form of disks it may fill an entire football field. The same amount was created in every two days in 2011, and in every ten minutes in 2013. This rate is still growing enormously. Though all this information produced is meaningful and can be useful when processed, it is being neglected. 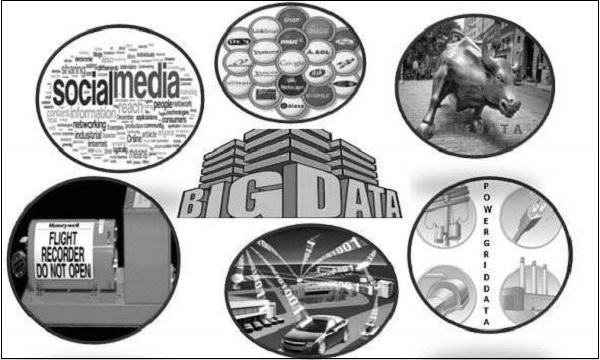 Big Data is a collection of large datasets that cannot be processed using traditional computing techniques. It is not a single technique or a tool, rather it involves many areas of business and technology.